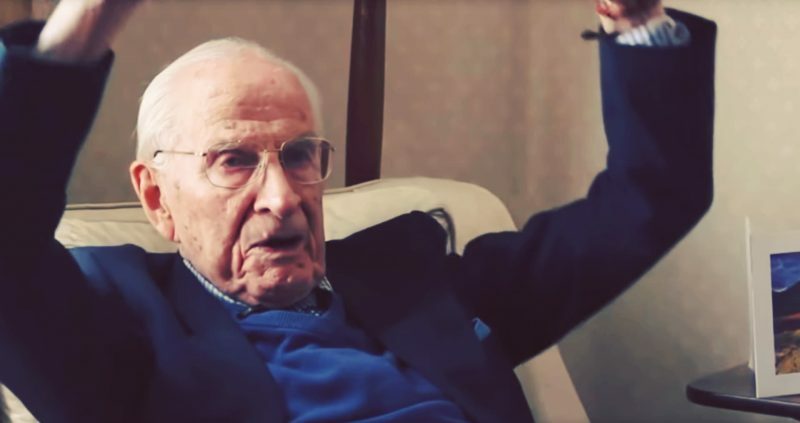 Centenarian scientist Dr. Bill Frankland explains how physical conditioning helps him stay fit. As explained in Robustness1 and in the next book in progress, the third category of physical exercise is not intuitive, because it’s often not practiced as its own sport, rather as a precursor. As a reminder, the first two categories are endurance and strength. Those who like cycling want to get on the machine and start moving. The same goes for running, as well as other sports. We are often tempted to simply hit the road or the trail, and start at a slow pace to build up heart rate and get joints and muscles ready for higher intensities. By doing this, we can do some minimal warm-up phase. But only the specific muscles and joints involved in that effort get to work out. We only make use of the specific range of motion for that sport. This creates a less than optimal situation: we get stiff. We may not warm up enough, exposing us to injuries. We may not have enough strength and resistance in infrequently used muscles. In other words, the lack of rounded, complete exercise set leaves us fragile and in sub-performance, even if when practicing endurance, strength and high intensity training, because these exercises are sport-specific. Enters the third category: physical conditioning. The notion of physical conditioning comes into play as the third category of physical exercise. Those who practice martial arts likely know the concept quite well. Martial arts and fitness sessions often include a ten to twenty-minute warm up phase that is complete, working out all muscles. Let me tell you two stories about this. I could never run as fast as when I trained for kung-fu, and this was a time while I did not train at all for running. How could kung-fu make so much impact on running performance? As teenagers living in the back country of Provence, we discovered a master of a Vietnamese martial art named Kwan Qi Dao was teaching near us. A friend of mine and I signed up. There, we discovered the difficulty of practicing martial arts, the first being learning to replicate movements after observing the instructor, as well as memorizing sequences. This created a habit, a sort of mental and physical circuit to follow as strictly as possible. 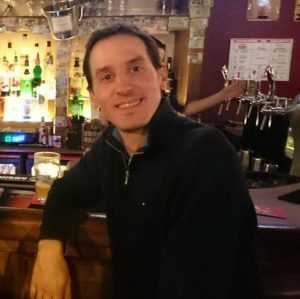 These sequences could be forms, to learn technique and the cultural expressions of that particular art. But before these, every single session included strenuous and complete warm-up and physical conditioning: stretches, extensions, pushups, crunches, jumps, neck rotations, and so on. There was no skipping this precursor to the actual martial art. I stopped training when I moved from Provence, but then took lessons again some years later in Austin Texas, and this was the kung-fu era. I was not surprised to see that kung-fu, like kwan qi dao, involved several minutes of gradual warm up, looking to loosen all joints and strengthen all major muscle groups. This was without doubt how all practitioners made measurable improvements in their fitness for martial arts, but not only. Physical conditioning improved fitness for all sports. It turns out that Marchand also practiced martial arts when he reached the age of twelve. He did boxing. Marchand and I discussed his morning routines, which involve the very movements of martial arts physical conditioning. Now, Marchand doesn’t practice boxing anymore. He moved on from this sport before he turned twenty. But he never forgot the benefits that the practice brought to him for the other sports that he practiced: gymnastics, cycling, working as a lumberjack, farmer – Marchand did sports all his life. When I asked about his morning routine, now he is over 105 years of age, he insisted once more: “What works for me doesn’t necessarily work for others. But there is one thing I tell to youngsters and athletes: no matter what sport you want to do, you’ve got to do physical conditioning. It is the only way to get all your muscles and all your joints to work out”. As he said this, he went from sitting in his chair to standing in a fast and effortless move and walked across the room. This practice that obviously works for Marchand also comes as a primary point for another 105-year old fitness enthusiast and former immunologist, Dr. William Frankland. In a video interview, you can watch Dr. Frankland go through his routine of physical conditioning, like Marchand does, and like all martial artists do while they practice the sport. The differentiating aspect in Marchand and Frankland, comes from their own initiative to keep practicing physical conditioning on their own, regularly. They formed the protective habit, which helped them stay away from early decline. Robert Marchand eats a plant-based diet, and occasionally “anything” as he says, including eggs, cheese, steak. Just rarely. Dr Frankland does not indicate following a vegan diet, only recommending to avoid over-eating. He may be eating lots of vegetables and fruits but does not explicitly call out veganism as this is a very restrictive diet to never eat any animal product. This fitness practice is entirely distinct from endurance, and also clearly distinct from strengthening, sprinting, and other high intensity training due to the fact that it focuses on breadth of exercise, range of movement, coordination, and making sure every joint and muscle gets a quality workout. The ritual, the creation of the habit, is the hard part. Remember: we all know better than we actually live by. But for those with the courage to live by it, as Robert Marchand and William Frankland are showing us, physical conditioning suggests a high payoff when it comes to retaining fitness over time. Pujol N. Robustness, LN2MEDIA. Amazon.com. 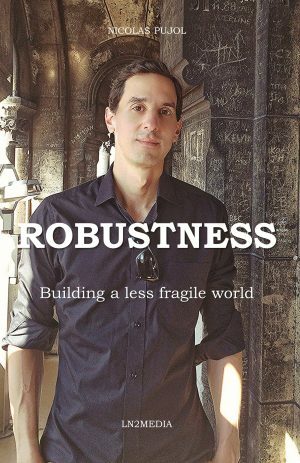 https://www.amazon.com/Robustness-Building-less-fragile-world/dp/1978021852/.